Every international cricket captain wants a regular increase in their tally of overseas victories. Beating teams at their own backyard are one of the most prestigious things for a skipper. However, not many end up being able to add that to their CV. Only a few captains have been able to occupy a prominent spot in such an eminent list of most Test matches won abroad. And when the discussion is about winning in subcontinental conditions, especially India, it is widely accepted that beating the Men In Blue in their own den has been really difficult for the opposing teams. The opponent seems helpless when the Indian spin attack starts bowling in full flow. The Indian bowlers bamboozle the opposing batsmen with the help of their trajectory and their vast array of variations. The opposition finds it hard, to bat on those spinning tracks and bowl in the soggy conditions. Although quite a few captains have been able to pull out the best from their players and win matches on Indian soil, there have still been some great captains who have found it impossible to even win a single Test match in India. It would be an understatement to say that the World Cup-winning Aussie captain had a poor record in India. He led his side in 3 Tests on the Indian pitches and lost all 3 of them. In the season 2012-13, Michael Clarke and his team toured India for a 4-match Test series. The series didn’t have a good start from the Australian point of view as the Indian skipper MS Dhoni’s double century put the opposition in trouble and Australia eventually went on to lose the first match. Australia also lost the second match by a huge margin - an innings and 135 runs - the defeat was followed by some dramatic days as four Australian players (Shane Watson, James Pattinson, Mitchell Johnson, Usman Khawaja) were suspended for one match each due to Homework Gate. This made the team weaker and they lost the 3rd Test as well. 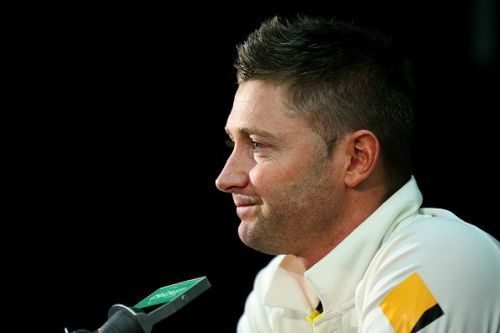 Michael Clarke decided to return home after the third Test due to a back injury and Shane Watson was given the captaincy duties for the last match. Unfortunately, Australia lost the 4th and the final Test as well and had to suffer a clean sweep. After this, Clarke never toured India again for a Test series.